Nice work @Roald out of curiosity, how long has this taken so far? I map as a leisurely hobby and have been working on 1 map for over a year now, and still working on the basic greybox. Looks nice. I'll check it out when it's released for sure. 1. The medieval theme motivates me alot, I love it. Please understand that this isn't the right way to create a competetive map haha. I haven't done any playtesting (except my own tests) yet which is bad. For an example my map Avalanche is still mostly greybox since the contest started and had soooo many playtests which took me alot of tweaking and alot of time. I love quake =D I really do... it's strange, very. These has sounds in them, so you know. I really dig this map man, I love the layout and the visibility is fantastic. The theme of the contest was teleportation. My map is called The Crab. Oooh! Gonna check this out. Dude, this deserves a thread of its own, cool stuff! Looks good @Klems! Curious to check it out. You participated in many other –villes? I always try to use a new theme for a new level and kinda up to this date, I managed to do that. Obviously a lot of broken things in this image, but yea, this is one of the styles of this level. I might make my own thread with all my maps once I finish the contest. Thanks. So far I've participated in only 3 villes, counting this one. There's another contest coming up, which will last 1 week longer. You can look my WIP remake of great css map! I like the mood of the train track shots @zombi. What game is it for? 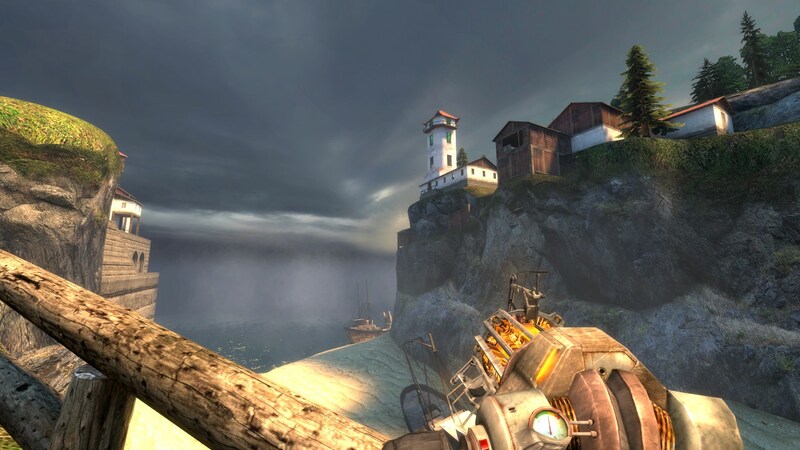 Looks almost too good to be an HL2 mod in terms of light… custom mode in CSGO? Can't wait to share this with you, guys.